Mumbai: “Children are dying due to malnourishment. Farmers are committing suicide. At such a time, is this society really worth living in? Through this first session, YIN must raise its voice against this injustice. There is a need to put a stop to the injustice and exploitation of the common man. The Indian Constitution has envisaged a socialist society free of exploitation. You have to prove this by your actions,” said YIN Governor and former judge, Justice Chandrashekhar Dharmadhikari. 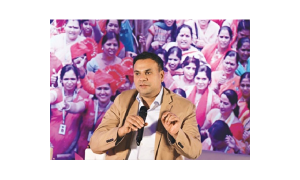 He was guiding the elected representatives of the Sakal Media Group’s Young Inspirators Network (YIN) during the first-ever session of the YIN Assembly at the Yashwantrao Chavan Pratishthan’s auditorium in Mumbai on Wednesday. The students present were elected through the YIN elections held across 2,500 colleges in the State earlier this year. Altogether 23 members of the YIN Cabinet and 36 Guardian Ministers from various districts of the State were present during the session. 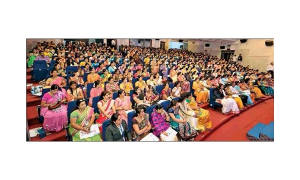 The auditorium was transformed to look like the Assembly. 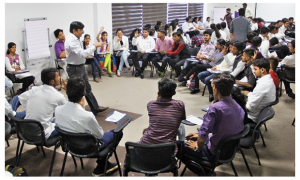 Before the session commenced, Editor-in-Chief of the Sakal Media Group, Shriram Pawar, told the members that they are the representatives for the aspirations of 17 lakh youth from the State. “I hope that the aspirations of the youth are reflected,” he said. 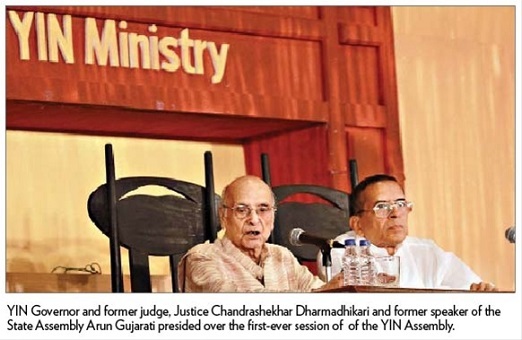 Justice Dharmadhikari was the Governor for the Assembly while former speaker of the State Assembly Arun Gujarati was the speaker for the first session. Administrative Officers like Secretary Varsha Gaikwad, Deputy Speaker Ravi Masal and Deputy Secretary Shamsundar Madewar were also present. The work for the Assembly began with the playing of the National Anthem. He explained to the members that ‘nation’ and ‘country’ are two different concepts. “The concept of nation is associated with the its inhabitants while country is a geographical concept. According to me, whether people of Kashmir want to live in the country or not has no reference. But I want to live with them is important. So leave politics and embrace nationalism. If there is no nationalism, then no approach is appropriate,” he explained. He appealed to the members of the Cabinet to refrain from being like the previous generations. “Where the last generation stops, the new generation takes over. I am worried about the growing number of farmer suicides in the country. We need to understand why suicides are taking place and why there is no value attached to human labour. Why do the farmers who feed the country have no respect. Unless they get respect and value for their labour, suicides will not stop,” he said. 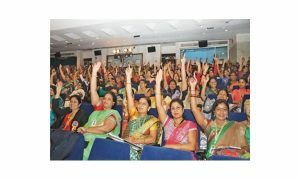 Dharmadhikari said that ministers are the custodians of citizens’ interest. “This has been upheld by the judiciary too but unfortunately the guardians have become the owners. If the society is designed on the basis of exploitation, then how will socialism survive? I feel we need to remove the term socialism from our constitution. Why keep it merely as a formality?” he explained. Commenting on the image of politicians across the world, he added that once they enter politics, they change. “A survey of youth across the world has shown that they have hatred towards politicians. What kind of language is being used by the candidate in the US Presidential race, Donald Trump? Why can’t we have cultured politicians? This generation has the strength while the last generations had the habit of tolerating injustice and violence. But this generation revolts against injustice,” he said.